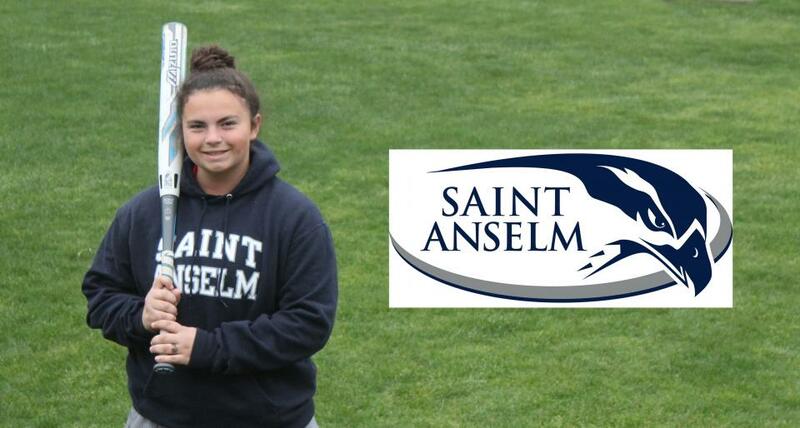 SACRAMENTO, Calif. – St. Francis senior Lauren Washburn has committed to play softball at Saint Anselm College in New Hampshire, fulfilling a lifetime dream to play in college. 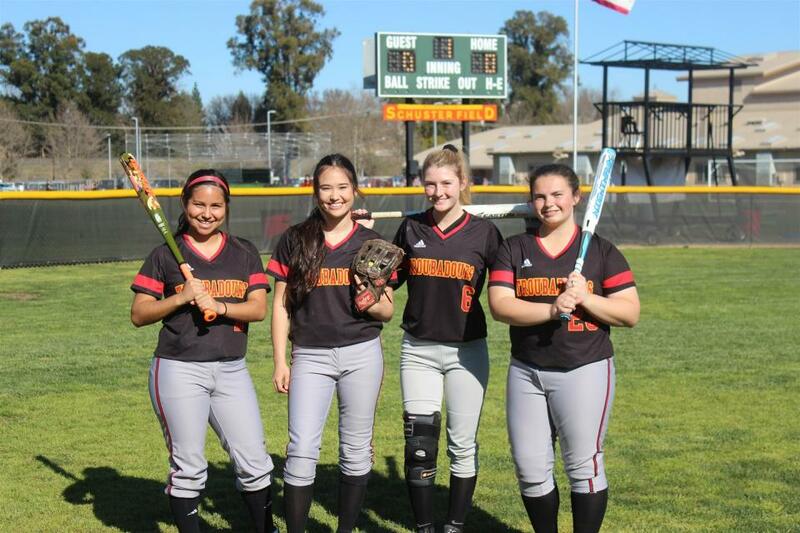 SACRAMENTO, Calif. – Sophomore Bella Valentine homered and sophomores Chloe Smith and Sydney Littles had two hits each before Sheldon broke open a close game to defeat St. Francis 19-6 on Tuesday. St. Francis (7-9) led 3-1 after the first highlighted by Valentine’s second home run of the season. 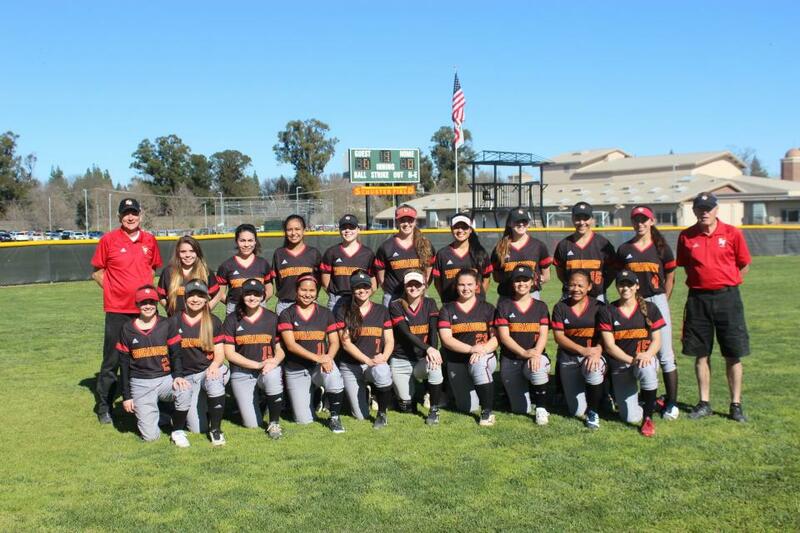 SACRAMENTO, Calif. – The St. Francis softball team fell to Elk Grove 11-0 on Thursday. Senior Lauren Washburn went 2-for-2 for the Troubadours to record the only hits for the Troubies. Victoria Lowe held SF scoreless over five innings, recording nine strikeouts and no walks. Elk Grove hit three home runs in the contest. Senior Jada Kanemasu took the loss, giving up four runs on five hits over 2.2 innings. 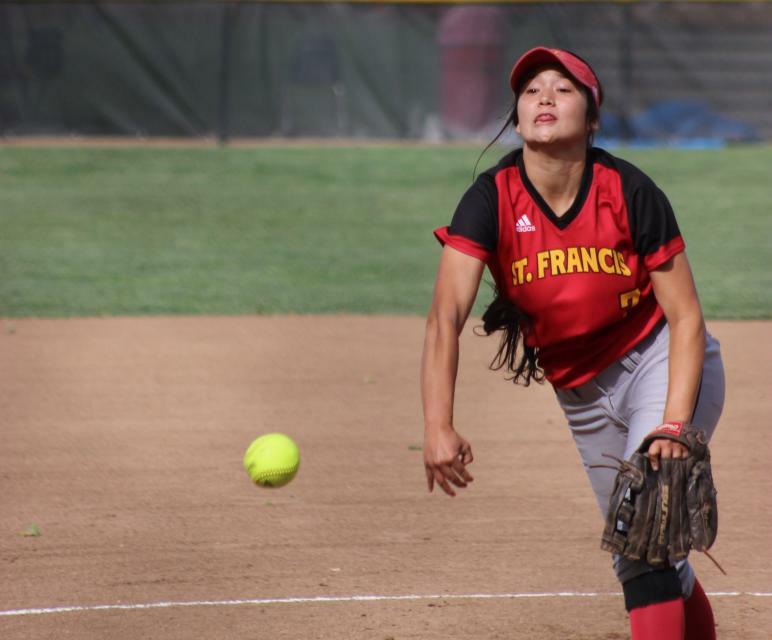 St. Francis hosts Sheldon on Tuesday at 4 p.m.
SACRAMENTO, Calif. -The St. Francis softball team recorded their first Delta League win with a 14-3 victory over Grant on Monday. 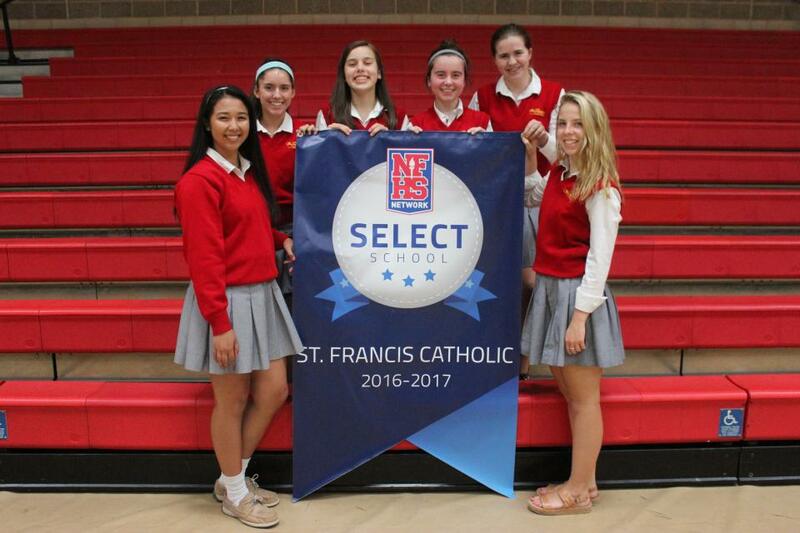 St. Francis had a season-high 14 hits and scored 14 runs as five players recorded two or more hits I the contest. 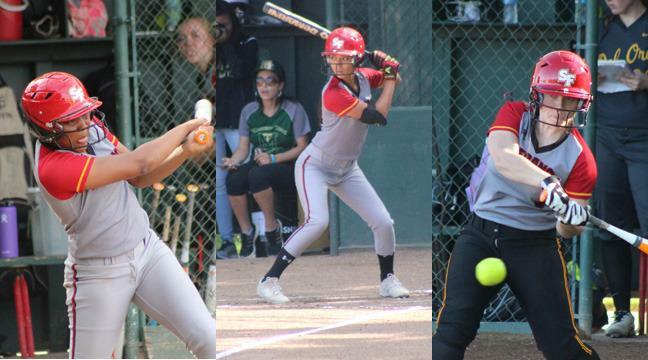 Chloe Smith, Makayla Scott and Mary Baccay had home runs in the game. 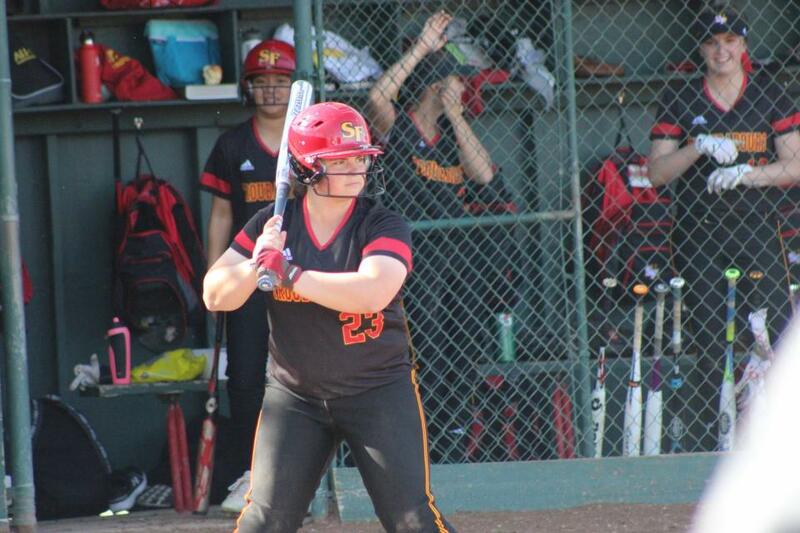 Catcher Julia Perkins recorded a career-high three hits in three at bats. Jada Kanemasu is in her third season with the St. Francis varsity softball team. She has recorded 20 career victories after going 8-2 as a junior with a 3.25 ERA. She likes spending time with her family and friends. She has two little nephews. 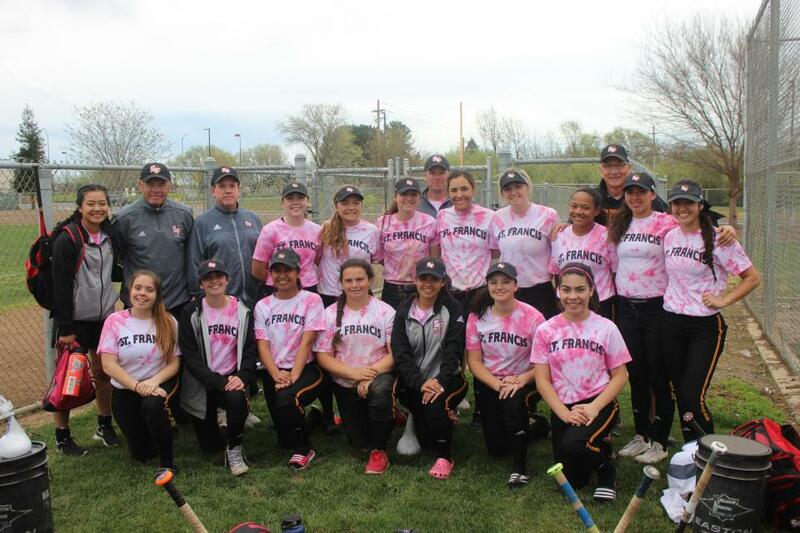 WEST SACRAMENTO, Calif. – The St. Francis softball team lost to Christian Brothers on Saturday 4-3 in the annual Albie Aware games at River City High School. Sophomore Sydney Littles went 3-for-4 with two runs scored to pace the Troubadours offense. 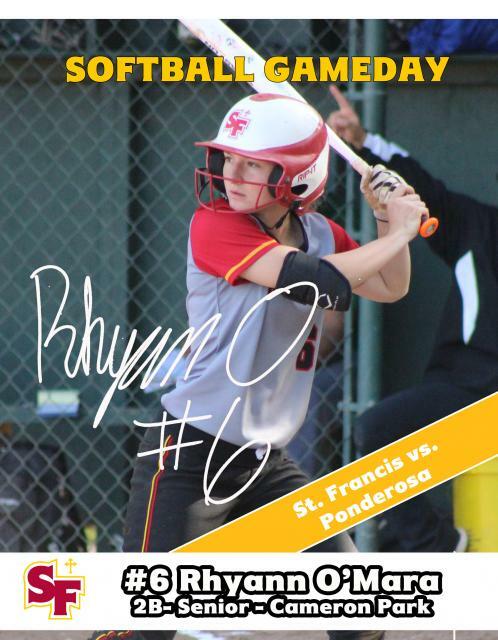 Rhyann O’Mara returns to softball after playing last season with the lacrosse program. 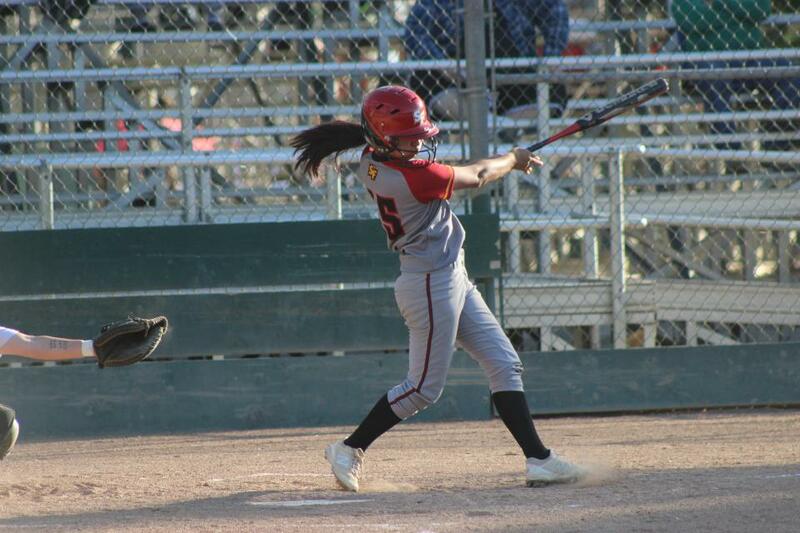 She was a Sacramento Bee honorable mention All-Metro and Delta League second team selection as a sophomore after hitting .462 with a team-best tying 30 RBI. Welcome back to Softball! How does it feel to be back on the diamond this year? 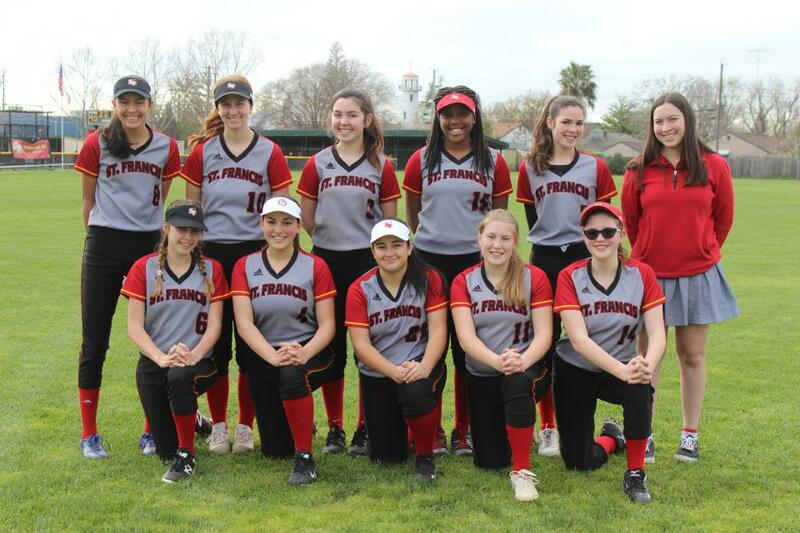 The St. Francis softball team went 14-12-1 overall and 9-5 in the Delta League to finish third overall in the standings. 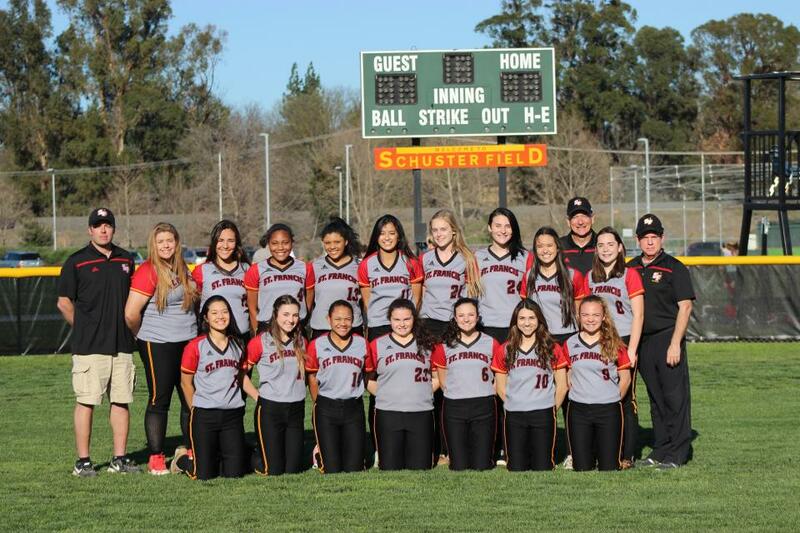 The Troubadours advanced to the Sac-Joaquin Section Division II playoffs as the No. 12 seed. St. Francis won an elimination game over No. 5 Vintage 5-2 before losses to No. 4 Del Campo (6-0) and No. 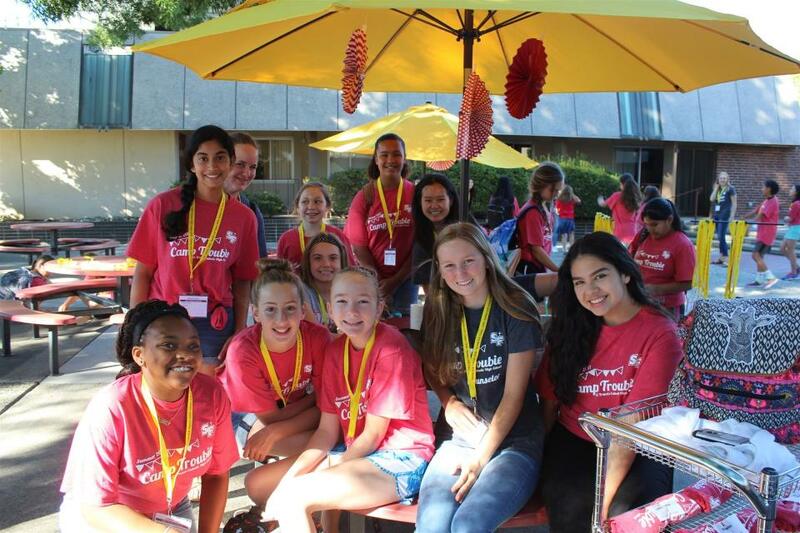 9 Elk Grove (10-2). 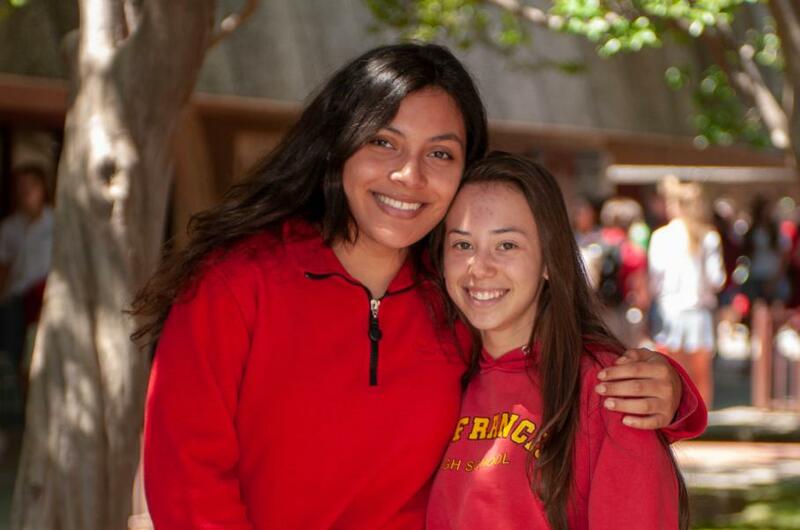 Seniors Mel Baccay and Shelby Tevis were named to the Sacramento Bee All-Metro second team. 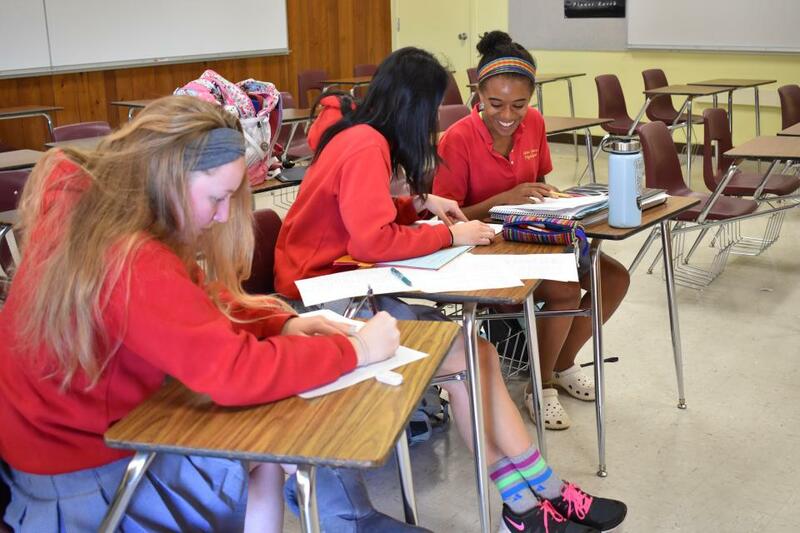 Roster by Class – Seniors (4): Ariana Avila, Jada Kanemasu, Rhyann O’Mara, Lauren Washburn. 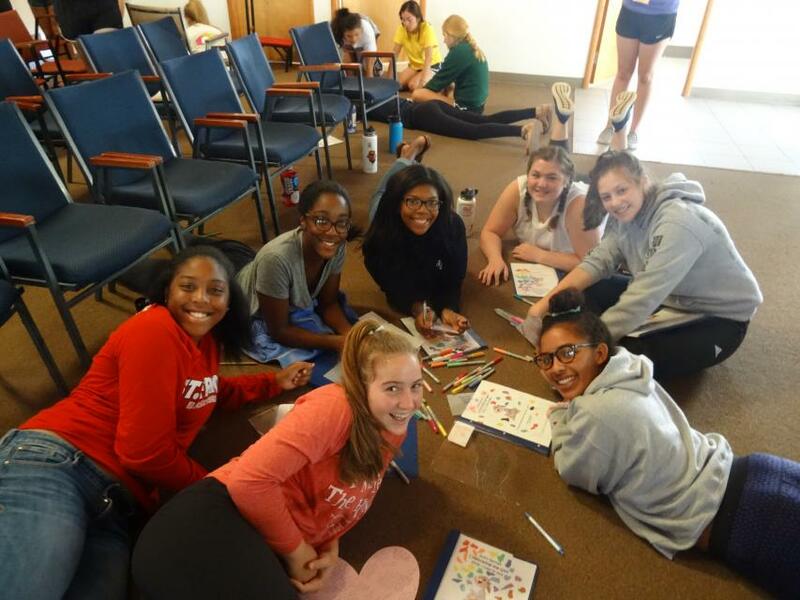 Juniors (8): Alexis Assad, Mary Baccay, Victoria Cimino, Kennedy Hornbuckle, Victoria Jacobo, Makayla Scott, Anissah Surita, Terry Victory. 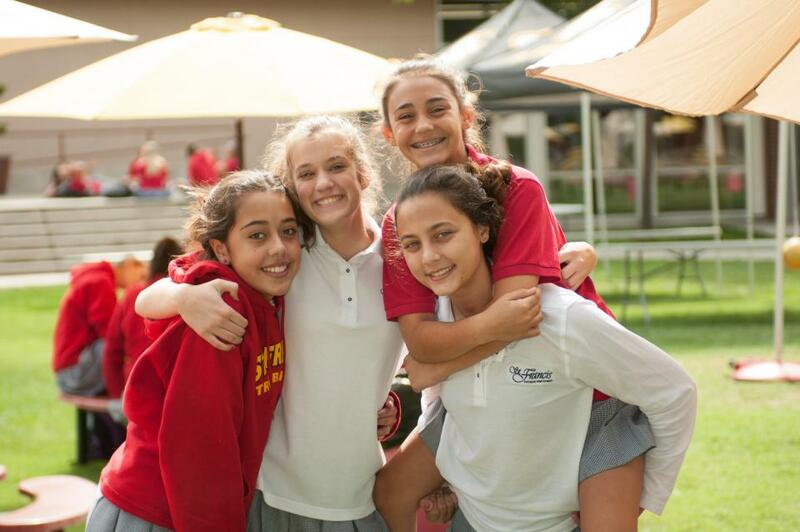 Sophomores (6): Caitlin Caldwell, Arden Hatch, Gabby Guerrera, Sydney Littles, Chloe Smith, Bella Valentine. 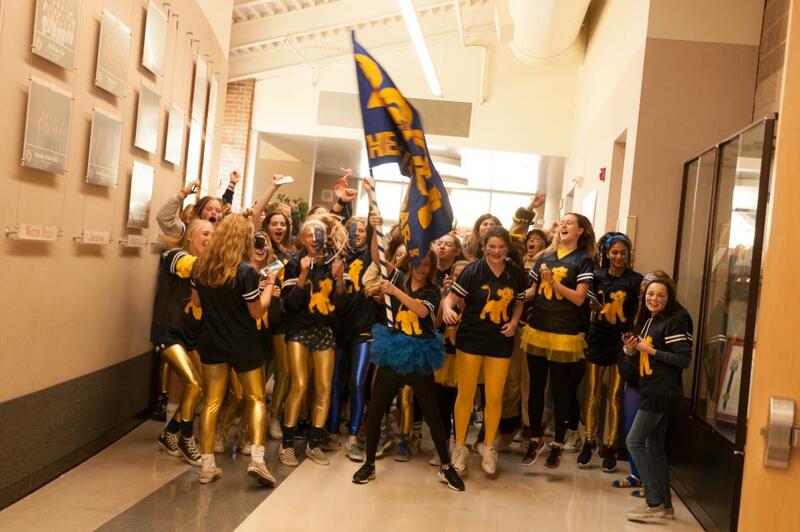 Freshmen (1): Julia Perkins. 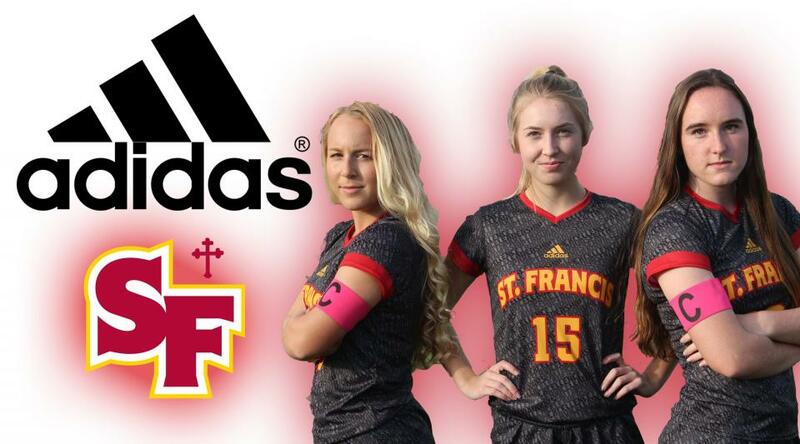 SACRAMENTO, Calif. – St. Francis Catholic High School has renewed its exclusive partnership with adidas Team Sports for four years, Athletic Director Mark McGreevy announced. 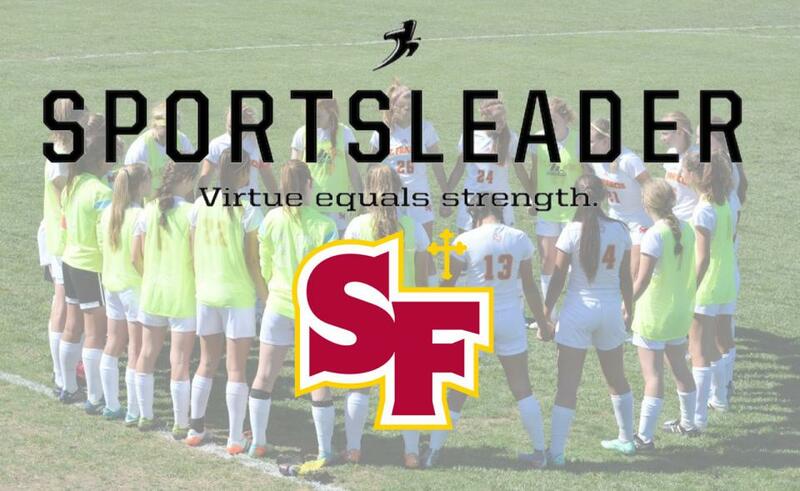 SACRAMENTO, Calif. – St. Francis High School and the Troubadour Athletic Department will partner with SportsLeader over the next four years to implement their Catholic virtue-based formation program for coaches. 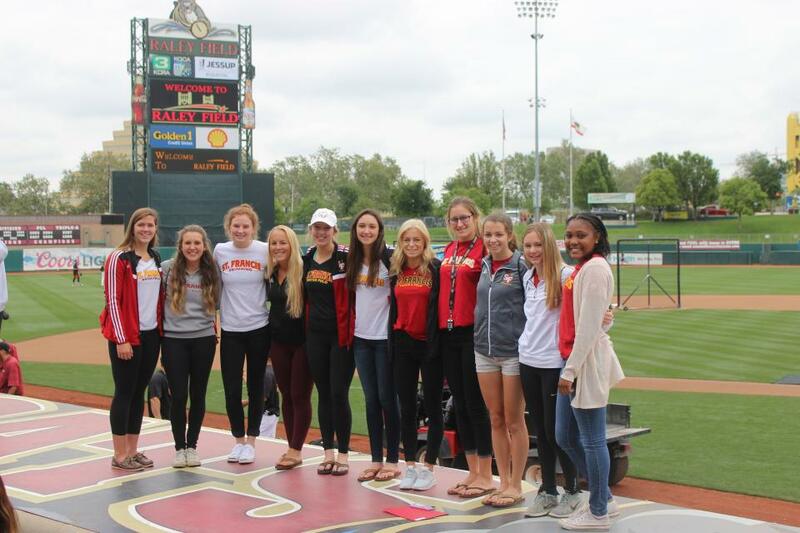 SACRAMENTO, Calif. – The St. Francis athletic department placed second overall in the All-Sports Award standings for the Delta League among the girls programs for the 2015-16 season, losing to Davis by two points. 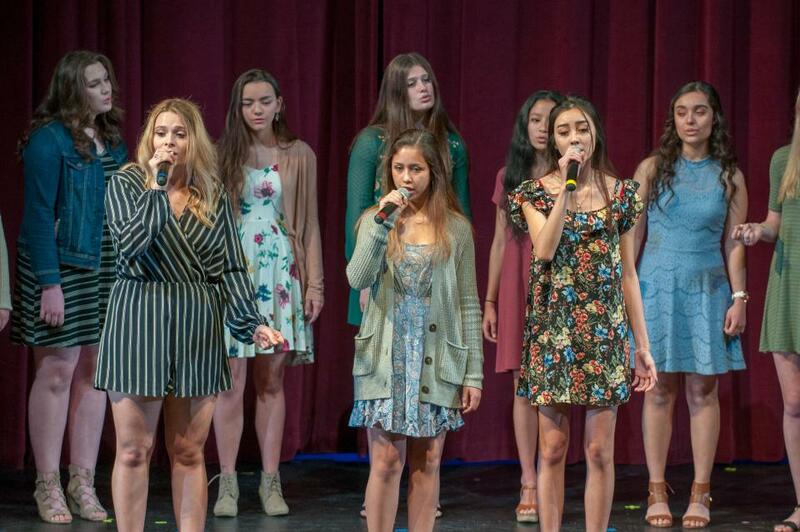 The Troubadours recorded a league-best seven combined first and second-place finishes. 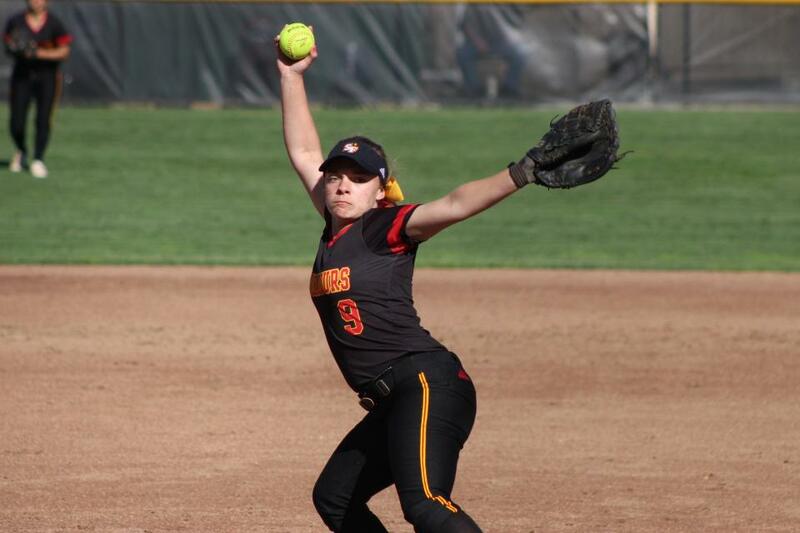 SACRAMENTO, Calif. – Three St. Francis senior softball players were named to the All-Metro team announced by the Sacramento Bee over the weekend. Seniors Mel Baccay and Shelby Tevis were named to the All-Metro second team. Baccay led all regulars with a .437 average, the eighth-best in the Delta League, with a team-best 38 hits, 29 runs (5th-best in the league) and five triples. It was the second consecutive season she has earned All-Metro honors after being named to the honorable mention team in 2015. Baccay signed to play at Michigan State in the fall. 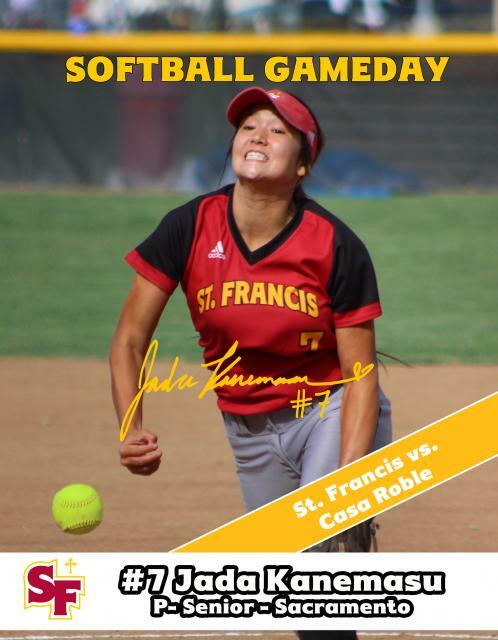 SACRAMENTO, Calif. – The St. Francis softball team lost twice on Saturday and was eliminated from the Sac-Joaquin Section Division II playoffs. 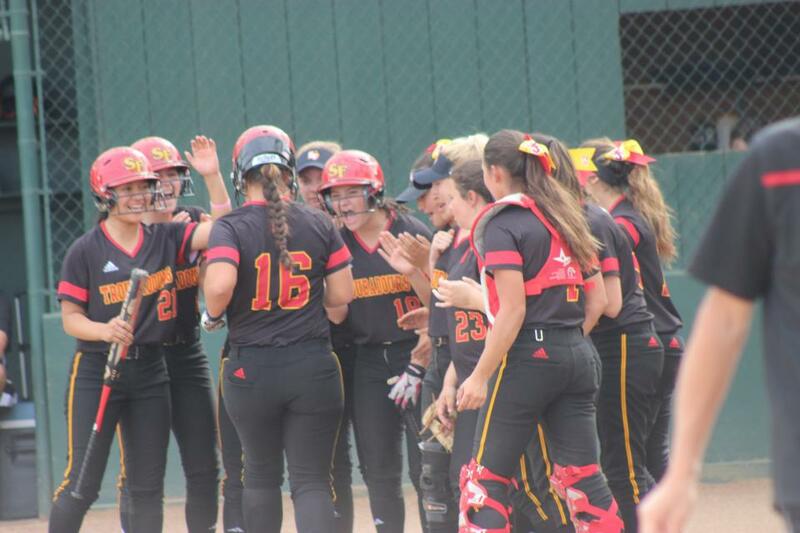 SACRAMENTO, Calif. – In a single-elimination playoff game facing long odds in seeding, the No.12 seed St. Francis softball team upset No. 5 Vintage Wednesday night 5-2 to advance to the double-elimination bracket starting Friday in the Sac-Joaquin Section Division II Bracket. SACRAMENTO, Calif. – No. 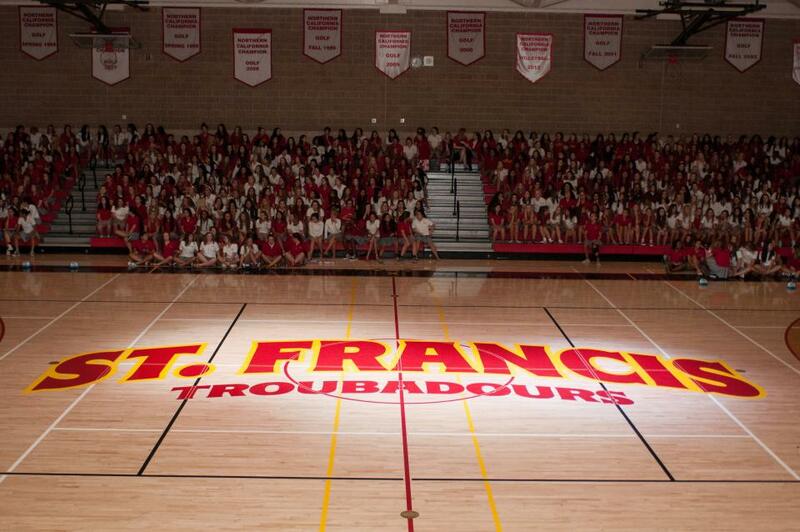 12 seed St. Francis will play No. 5 Vintage in the opening round of the Sac-Joaquin Section Division II playoffs announced Thursday. 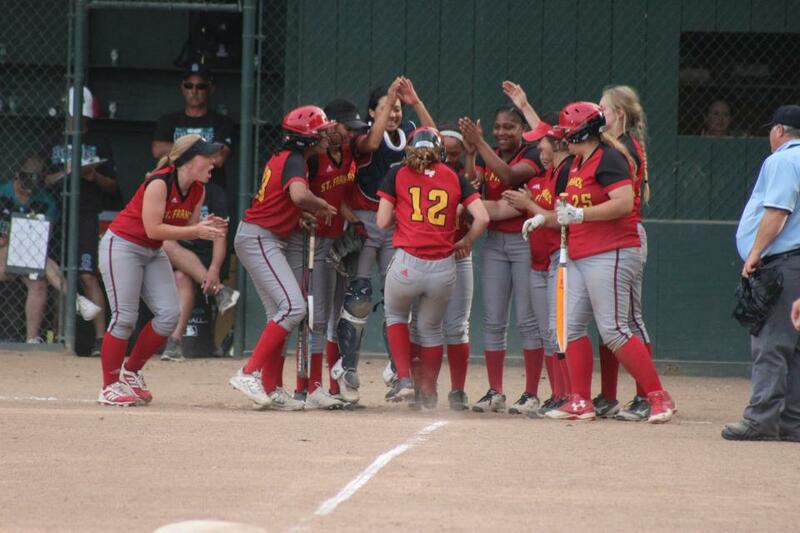 The game will be at 5 p.m. on Wednesday, May 18 on Field 3 at the Sacramento Softball Complex. The winner advances to the double-elimination tournament starting Friday, May 20. 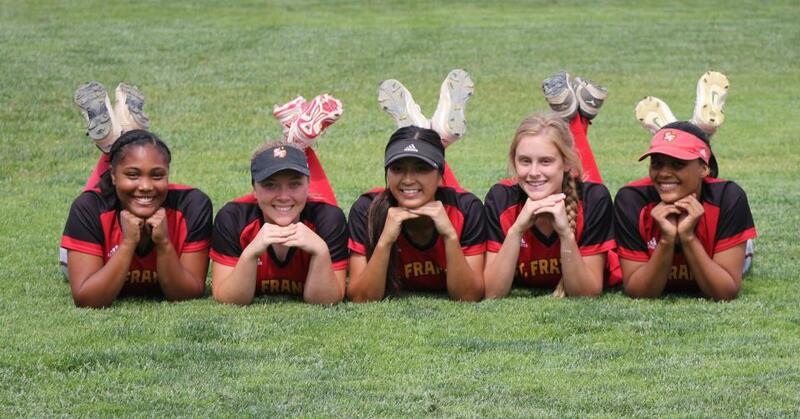 St. Francis finished with a 13-9-1 overall mark and went 9-5 in the Delta League to finish third overall.